The American Health Council is proud to elect Mrs. 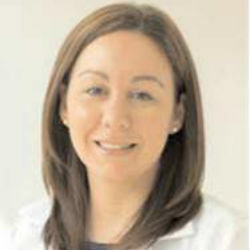 Dawn Howard-Mistry, Transitions of Care Nurse Practitioner at Saint Barnabas Medical Center, as a “Leader in Nursing”. With 14 years in the healthcare industry, including 3.5 in her current role, Mrs. Howard-Mistry brings to the American Health Council a wealth of skills and expertise in Nursing, Cardiology, and Pulmonary Care. Her career started in New York City with 6 years in the Cardiac Care Unit at Lenox Hill Hospital and later became a nurse practitioner in outpatient cardiology at Mount Sinai Hospital. Mrs. Howard-Mistry is a Nursing alum of Hunter College, obtaining her BSN in 2003 and her MSN in 2008, and certified as a BSN/MSN/APN-C. She became involved in her the nursing profession after witnessing her grandparents receiving great care from a hospice nurse. Mrs. Howard-Mistry attributes her past and current success to wonderful mentors, as well as being committed and dedicated to her field. At Saint Barnabas, Mrs. Howard-Mistry engages in numerous responsibilities, including reducing readmissions for the top 5 DRG’s, educating patients on their acute/chronic conditions and following them for 30 days past discharge. She also completes root cause analysis for all readmissions that are a top 5 DRG, presents readmission data quarterly to hospital leadership, participates in the creation of yearly plans to improve readmission rates. In addition, she presents on health education at local community outreach locations, and assists in developing and implementing clinical plans to care for patients with chronic and terminal illnesses. Among these responsibilities, Mrs. Howard-Mistry also initiates communication with attending physicians, other transitions of care staff members and health agencies and caregivers as needed to coordinate optimal care and outcomes. She is required to do in-home and post-acute care visits. Mrs. Howard-Mistry is cited with creating a COPD/Pneumonia clinic, to help patients who are unable to follow-up with primary care physicians post discharge from the hospital. Among her myriad of accomplishments, Mrs. Howard-Mistry is currently a Baldridge Ambassador at Saint Barnabas, a member of the Rising Stars Initiative – COPD & Pneumonia Workgroup, the Community Health Needs Assessment Workgroup – Asthma/COPD, Co-Chair for the APN Council, and a Magnet on the Professional Nurses Practice Council. Mrs. Howard-Mistry has been garnered with numerous awards, including the Grotta Grant (2015), which was utilized to expand the SBMC Transitions of Care department. In addition, she was acknowledged as a Community Champion with an Excellence Award from Saint Barnabas (2015). While studying at Hunter College, she was awarded Clinical Excellence and Leadership (2003). She is professionally associated with the Institute for Patient and Family-Centered Care, Sigma Theta Tau, and the American Association of Nurse Practitioners. Mrs. Howard-Mistry’s professional goals within the next five years include obtaining her DNP and transitioning into a clinical leadership role. In her spare time, she enjoys spending time with her family, traveling, hiking and ziplining. She donates charitable time to Miracle Walk, St. Jude’s, and MSKCC. Saint Barnabas Medical Center is a part of New Jersey’s oldest and largest Nonprofit Nonsectarian Hospital. They are committed to providing the highest quality of care for their patients and their family. Their award-winning institution is one of the largest health care providers in the state, treating nearly 33,000 inpatients and over 100,000 adult and pediatric Emergency Department patients each year. Saint Barnabas Medical Center is a major teaching affiliate of Rutgers New Jersey Medical School, a major clinical campus for the New York College of Osteopathic Medicine, and affiliated with the St. George’s School of Medicine. Bente J, Howard D, Costello J. Effects of a pharmacist’s participation in transitions of care program on 30-day readmission rates in patients with chronic obstructive pulmonary disease (COPD) and pneumonia. Poster presentation. The New Jersey Society of Health-System Pharmacists Annual Meeting, Long Branch, NJ, March 2016. Reprise presentation at the 51st Annual American Society of Health-System Pharmacists Midyear Clinical Meeting and Exhibition, Las Vegas, NV, December 2016. Cordon M, Bente J, Howard D, Volino L, Meyers R. Examination of the effects of multidisciplinary home visits on 30-day readmission rates in chronic obstructive pulmonary disease and pneumonia patients. Poster presentation. The 51st Annual American Society of Health-System Pharmacists Midyear Clinical Meeting and Exhibition, Las Vegas, NV, December 2016. Howard D, Bente J, Costello J. Effects of multidisciplinary transitions of care program on 30-day readmission rates in patients with chronic obstructive pulmonary disease (COPD) and pneumonia. Poster presentation. Saint Barnabas Medical Center Quality Fair, Livingston, NJ, August 2016. Howard D, Bente J. Creation and implementation of multidisciplinary transitions of care team. Poster presentation. Saint Barnabas Medical Center Quality Fair, Livingston, NJ, September 2015.